Website design, logo and graphic deisgn. 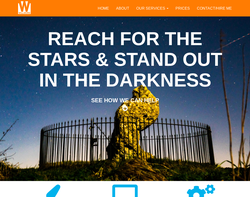 Welcome to CyberStar Media � online design and marketing solutions for your business. Our mission is to transform your business, no matter how big or small, into a cyber star in your area of expertise by efficiently harnessing the communicative power of the internet to your advantage. With years of highly-successful experience in web marketing and revenue growing in many sectors, CyberStar Media is well-equipped to take a look at your business, make you look good and help you shout very loudly and persuasively about your products and services to the appropriate markets. Business analysis Competitor analysis Project management Branding, graphics, logos, animation, banners Website design Search engine optimisation Website statistics Pay-per-click advertising Internet marketing Direct email campaigns Advertising: initiating and developing concepts; writing slogans and copy Media planning, placement We are full of suggestions so please contact us today � together our efforts could yield significant results sooner than you think. Customer experience & user experience design (UX) consultancy, based in London and Stroud, Gloucestershire, Arcticweb delivers design strategy, search optimisation, user insight and research, accessible web and mobile design, hosting, user testing and software and design training and writing for digital. We're experts in human computer interaction (HCI) and customer experience and user centred design (UCD). 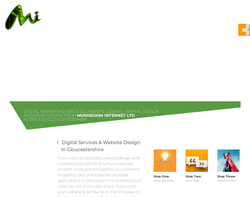 We design and develop websites in Cheltenham, Stroud & throughout Gloucestershire. We also host websites, design mobile responsive sites, print design, graphic design, search engine optimisation and marketing. 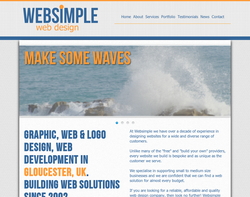 Square One is a graphic design and web design agency based in Cheltenham, Gloucestershire. We help to promote our clients professionally online and offline by producing branding, logo design, packaging and exhibition materials, we also create websites that are thoroughly researched and designed to cater to your target audience. I offer a full design and development service both digital and print with over 11 years experience. I create CMS driven sites in Python and Django for any type of company, all designs are from scratch to give each a unique feel. Currently supporting local businesses by offering 25% discount on those services to companies in the Gloucestershire and Oxfordshire areas. Design-for-web is about making websites accessible to all and adaptable for any user on any device. Our in-house Developers collaborate with our Designers and Marketers to create beautiful websites optimised for SEO. 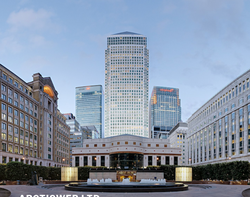 Whether you require a simple website or a complex bespoke solution, great design is the key. Our studio doors are open to everyone as we design to fit every budget, so your new website may be just a few clicks away! 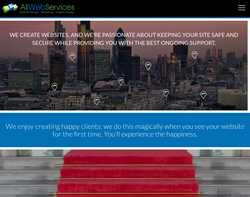 All Web Services Ltd offer custom build WordPress website design, web hosting and WordPress security. No one understands the importance of having a functional yet aesthetically pleasing website more than us. So whatever your business strategy may be, Juvenate Media can design a website tailored to your very specifications. Everybody has a different specific purpose or goal for their website.Therefore the first phase of our web design process begins by obtaining a comprehensive understanding of your business, products and services, target audience and online objectives. With these in mind we then create beautiful and functional hand crafted websites designed to convert traffic to customJUVENATE HAVE A RANGE OF WEBSITE DESIGN OPTIONS AVAILABLE: ECOMMERCE – Websites that are built using the latest Magento eCommerce platform that enable merchants to sell easily online , manage orders and engage with users. The Magento platform also allows the flexibility of managing multiple stores all from the same installation. The content management system ( CMS ) within Magento gives the store owner the option to edit the content on their website at any time, allowing them to add or remove products at will and launchspecial offers and sales. 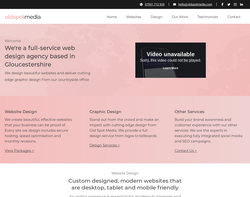 We create beautiful websites from our countryside office in Gloucestershire, our team offers a fully bespoke website design service. While the websites we create are exceptional. 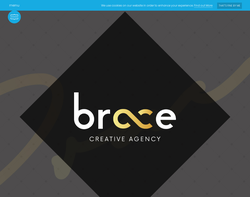 We also provide other digital services such as graphic design; including logos, leaflets, business cards, billboards, online advertisements and more. When accompanied by our online marketing team, the specialists in social media content creation, online advertising, SEO and branding, your company will get noticed.